My name is Pema and this is Gsiring. We are neighbours and good friends. 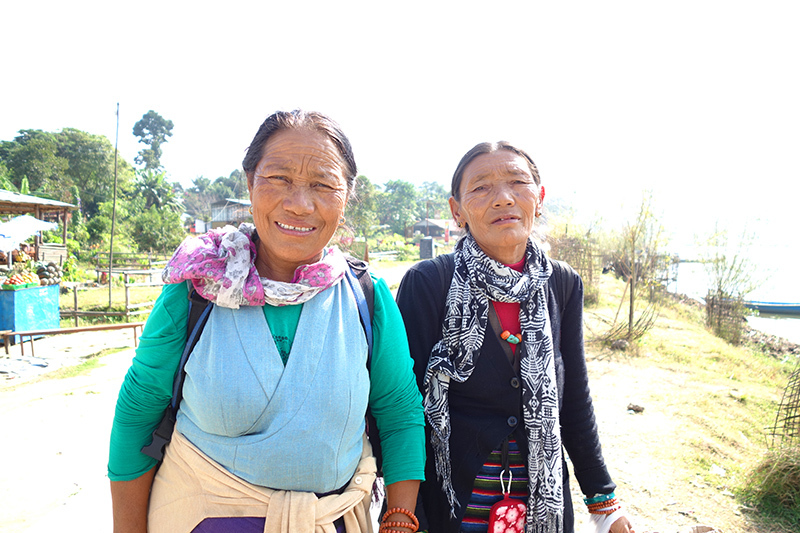 We both came to Nepal from Tibet in 1959, a long time ago. Life in Tibet was not good anymore after China take over. Life hasn't been easy. My husband died already a long time ago, but Gsiring is lucky to still have her husband. We walk everyday from a village up in the mountains down here to Pokhara for 2 hours and back the same 2 hours. We sell our handicraft that we make, or somebody in the village makes. Sometimes it's very hard, but we have to. When tourists are here we can make a living but when it is more quiet we don't get much money. We have never gotten any money from Nepal government. Always just gotten everything ourselves. They do not help refugees. I am 63 years and Gsiring is 64. I have 5 children but no grandchildren. Gsiring has 6 children and 2 grandchildren. The lives of our children is a bit better than ours. They help us when ever they can. "Would you like to go back to Tibet if possible?" No, the life in Tibet is not good. We would have to pay all our money to Chinese and not have a good life. They would take everything. (Quiet). Life is hard. It has been really hard. "Do you want to see the pictures?" Yes! Oh that is good! We look young. Very good. 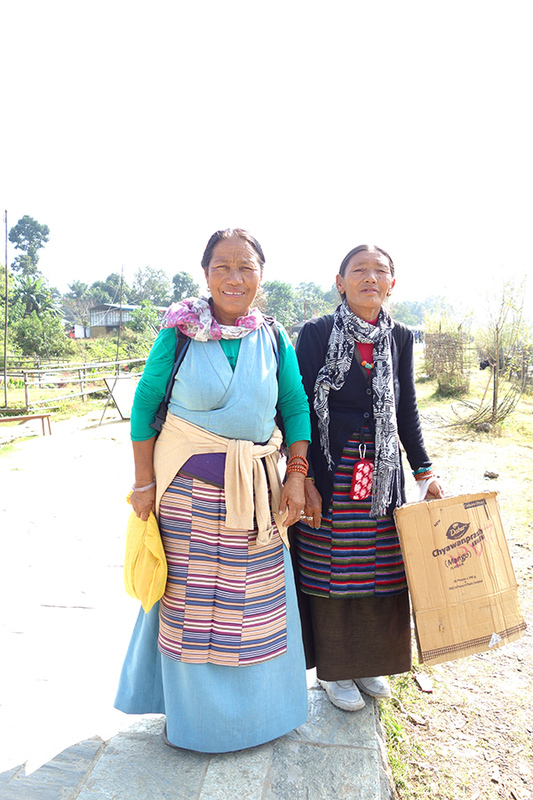 Read more about the Tibetan refugees in Nepal. Asiat näyttävät aika erilaiselta riippuen siitä mistä kulmasta niitä katsoo. Nämä naiset vaikuttivat sisukkailta ja silti jollain tavalla elämänmyönteisiltä. Huomio kiinnittyy väkisinkin todella puhtaisiin ja siisteihin vaatteisiin. Ei välttämättä kovin helppoa tuo pyykkääminen noissa olosuhteissa, mutta puhtaus näyttää olevan silti tärkeää. Pistää taas miettimään omia elämänarvoja.